Depart any day and customize your Peru tour at no extra charge! We are family and small group tour specialists. Add on: Lake Titicaca, Nazca Lines, Amazon Rainforest, Colca Canyon, a Pacific Beach Getaway, free days or extra activities. Discover the Inca in five full, exciting days. 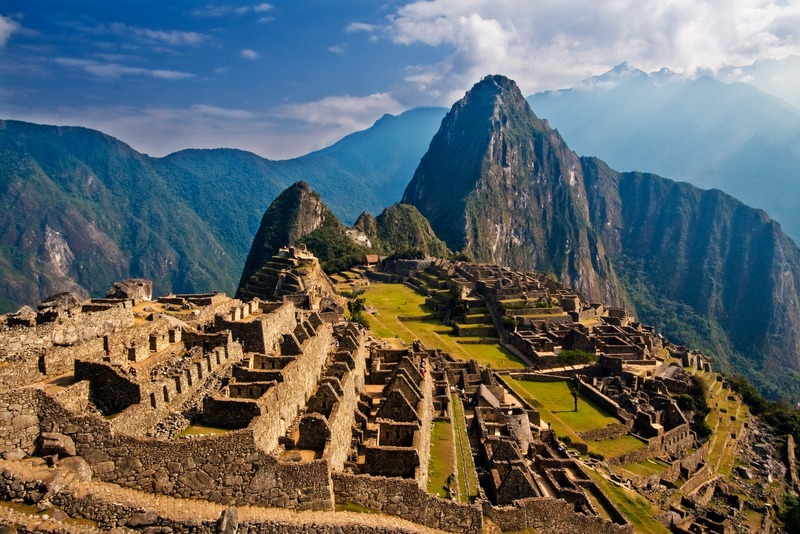 Inca Blitz travels to Machu Picchu as well as Cusco, the Sacred Valley and Lima. Day 4: Machu Picchu tour, then free time at the site. Day 5: Flight to Lima and departure day. Arrive in Lima and private transfer to your hotel. If arriving during the day, your hotel will be in the neighborhood of Miraflores, with good artisan markets and restaurants, and you’ll have an included city tour in the afternoon. The city tour lets you explore the wonders of the colonial capital, you visit the famous Plaza de Armas, as well as the impressive Cathedral in the Plaza and the beautiful San Francisco church. You also get a chance to take in some beautiful views of the coast at Parque de Amor. A short morning flight brings us to the famous Inca city of Cusco. After checking into your hotel, we set out to explore the incredible capital of the Inca Empire. We head to the picturesque Plaza de Armas to the cathedral to see the colonial influence in the city, and we can admire the stunning architecture of the church and also the native influences subtly woven in into the artwork. Onwards to Qoricancha church, where the colonial and Incan architectures are on display side-by-side directly contrasted with each other. Then you’ll get a taste of Cusco by visiting the San Pedro central market. Afterwards we make our way above the city to the imposing fortress of Sacsaywaman where we can marvel at the incredible stonework and architecture of the Inca civilization. We head back to Cusco in the late afternoon. Overnight in Cusco or overnight in the Sacred Valley if you are concerned about the altitude (the Sacred Valley is 645m, 2,000ft lower than Cusco), we can add this to your itinerary. This morning we’re off to the Sacred Valley, and then on to Machu Picchu on the afternoon train. Fifteen hundred feet lower than Cusco, the warm and fertile Sacred Valley was of immense strategic and agricultural importance to the Incas. We’ll visit two sites today: Ollantaytambo and Pisac. Pisac is a beautiful Andean town with a great handicrafts market. After browsing in the artisans market and bargaining for Andean goods (optional), we’ll head up to the imposing Inca fortress/temple above the town. Continuing on, Ollantaytambo is the only Inca village still inhabited in the present day. Peer through ancient, trapezoidal doorways into courtyards where life has changed little in 500 years, then explore the huge ruins which loom above the town. Afternoon train to Aguas Calientes, below Machu Picchu, where we’ll spend the night. Machu Picchu tour tomorrow! You may visit the medicinal sulfur hot springs tonight if you wish. Sunrise at majestic Machu Picchu! Known as one of the greatest architectural achievements in the world, this historic sanctuary is considered one of the seven manmade wonders of the world. After a private guided Machu Picchu tour, take your time and enjoy this magnificent place. During peak visiting hours (10-2), try a hike on one of the surrounding Inca trails on Wayna Picchu or Machu Picchu Mountain. Return by train and car to Cusco in the evening. Morning flight to Lima. Lima city tour today if not on day one. We would be happy to make a dinner reservation at one of Lima´s many culinary gems if time permits before your transfer. International flights may depart any time after 2pm. Peru: Inca Blitz is a five day tour which includes walking around ruins and during city tours. As always, a certain patience is required for the inconsistencies and occasional delays of developing-world travel. International flight to/from Lima, pre- & post- tour accommodation, visas, vaccinations, personal insurance, meals except where specified above, drinks, laundry, souvenirs or tips. Medical travel or cancellation insurance is not included through Southern Crossings. No immunizations are required of travelers to these areas of Peru. Travelers may wish to receive hepatitis vaccinations and should be current on all other standard vaccinations. No areas visited on this trip are malarial or yellow fever zones. Please consult your physician or local health department for more information. It is best to bring from home such items as prescription medications, eyewear and care, unusual film and camera batteries. Please bring all used batteries home to recycle! One should come prepared for outdoor activity at temperatures ranging from 40° to 80° Fahrenheit or 4° to 27° Celsius, and for extremes of sun and the possibility of rain. 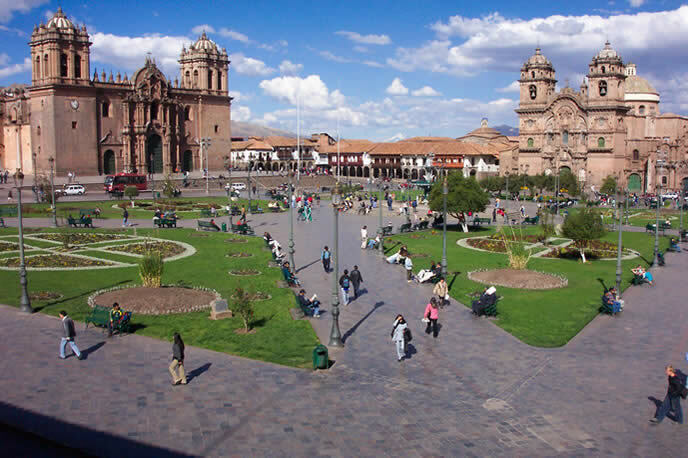 Cusco: days are warm if sunny, slightly chilly if cloudy. Nights are cold in Cusco.